Figure skating is one of the world’s greatest sports! A combination of athletics and artistry, participation in skating can be very satisfying. Skating in Basic Skills is fun, wholesome and therapeutic. It can also improve coordination and balance, stimulate your heart and circulation, relieve stress and build muscles. Plus, skating is a good way to meet people. Regardless of age, it is a great sport for everyone… children, teens, adults and seniors. It is a sport that can last a lifetime! Whether your goal is to aim for the Olympics, improve your overall health and fitness, enjoy the social aspects of skating or just to have fun, you are sure to realize those goals by joining the Learn to Skate USA program! All other classes the parent or siblings must pay to skate. * For Parent & Tot Classes ONLY: One parent skates free, including skate rental. 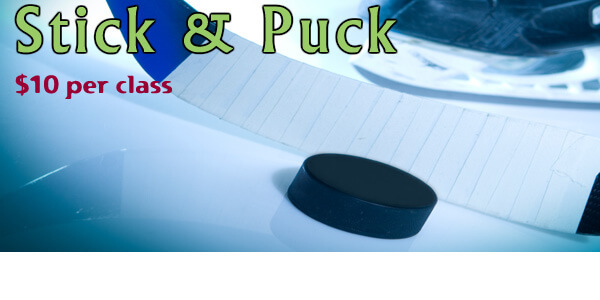 Second parent may skate for an additional $50 for 6-week session. Bring hats or helmets and gloves or mittens for the children. Helmets available for sale at $10 or Helmet Rental are available for $2. Missed a lesson? You can make it up at another time or day, but it has to be within the same 6-week session that you registered in and it is limited to one make-up per 6-week session. Coaching Staff includes Olympic, World & National Level Coaches. Register Early! Limited Class Size. No refunds. Synchronized Skating classes available on Sundays at 12:20PM at normal class rate. If you still wish to go to Group Lessons, the cost is only $30 more! Beginner Dance Class available on Sundays at 2:10PM at normal class rate. If you still wish to go to Group Lessons, the cost is only $30 more! Consider a private lesson from one of our coaches if your child needs additional help or attention. Six week series that coincides with our group lessons. If you sign up for this club in addition to another regular group lesson (at regular price on a different day), the cost is an additional $50. This class is specifically for Basic Skill level skaters and group lesson participants, and will introduce the requirements of the first official USFS Moves in the Field level: the Pre-Preliminary test. * “Moves” or “MIF” training is essential for any skater beyond the Basic Skills. Comprised of mandatory patterns on full ice, Moves in the Field challenge skaters to develop skills with control, power, edge quality, flow, rhythm and extension. MIF training is required in all disciplines of competitive skating, such as Singles, Dance or Pairs, and vital for participation and success in Synchronized Skating as most teams require some test standard in regard to MIF. Participants will have the chance to begin learning these skills in a fun social setting among their peers. Register today and help your skater get a head start, as he or she works towards that first official test of United States Figure Skating! The clinic is ideal for LTS Basic Skill group lesson students. Ideally, participants should have passed the Basic 4 level at a minimum, but lower level skaters can be accommodated if there is interest. 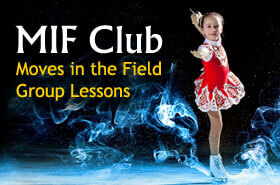 Club members who have not passed the Pre-Pre MIF test are also welcome to participate at full cost. If a student is already taking private lessons, they should seek the permission and approval of his or her private coach before enrolling for this additional and supplemental instruction. 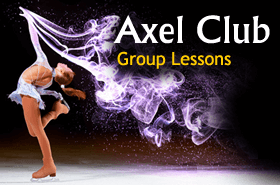 The purpose of the class is to help skaters at the LTS Free Skate Levels build and expand their free skating skill competency and introduce them to the new Axel class curriculum which will officially start in the SC of Wilmington Group Program in Fall 2018. The clinic is not meant to replace regular group class participation or private instruction but rather serve as supplemental training offered in a fun and economical format. In a 40 minute full ice class, skills covered will include half and single rotation jumps, waltz/loop combinations, basic spins (especially the back spin) and exercises from the LTS axel class curriculum, along with other techniques to build power and control. The harness may be used on occasion at instructor’s discretion. Participants will also be introduced to off-ice jump training to build their readiness for multi-revolution jumps such as the axel. This aspect of class will emphasize strengthening jump principles such as take-off, air and landing positions, along with off-ice axel work. The clinic is ideal for LTS Free Skate Group lesson students. Knowledge of jumps and spins in Free Skate 3 and higher is helpful but not required. Participants should have passed the Pre FS level (or Basic 8) however. Club members who are No Test FS, or Pre-Preliminary and Preliminary Test Track skaters are also welcome to participate at full cost. If a student is already taking private lessons, they should seek the permission and approval of his or her private coach before enrolling in this additional and supplemental instruction.